The ALL NEW Launch Sky Ski! This is the same tried & proven Launch T-bar equipped with a Max-Air front wing and the new Launch rear wing. The Launch Seat-tower is modeled after the Evolution Tower, it is built and functions exactly the same as the Evolution Tower, however its not pocketed throughout so its heavier than the Evo Tower. 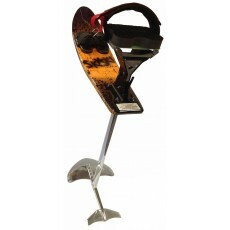 By eliminating a great deal of machine time we are able to offer this seat tower at a much lesser price point.